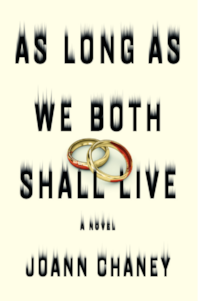 JoAnn Chaney is the author of the new novel As Long As We Both Shall Live. 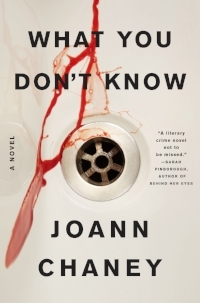 She also has written the novel What You Don't Know. She lives in Colorado. Q: How did you come up with the idea for As Long As We Both Shall Live, and for your characters Matt and Marie? A: ALAWBSL came about in the same way most of my ideas do—it starts with a real situation and becomes something more. I was watching Dateline one night and saw the story of a Colorado man who had two wives die under suspicious circumstances and my imagination picked up from there. As for Matt and Marie, I wanted to write about a successful, nice couple you might see anywhere. A couple you’d think has everything going for them, including the perfect marriage, and then the reader gets to see the rot underneath. Every relationship has problems, but this one—oh man, this one has some big problems. Q: You bring back characters from your previous novel, What You Don't Know. Why did you choose to focus on Loren, in particular? A: I find Loren to be an interesting character worth bringing back around. In many ways, he’s a stereotypical cop we see everywhere in fiction—a cop with a bad temper and a foul mouth. But I think he’s also a cop who has been through a lot and has seen and experienced things that’ve made him that way in the end, and at his core he’s a good guy. He’s a man who has seen bad things and done bad things, but he’s also done bad things for good reasons. I honestly think he’s the most realistic character out of the bunch, and that’s why I keep him hanging around. Q: You tell the story from various characters' perspectives. Did you always plan to do that, or did you change things around as you wrote? A: Actually, I always planned to write this particular book from several perspectives. There’s a few twists and moments when information is revealed to the reader and not some of the characters, and I needed multiple perspectives to make it work. And it was work, believe me—it’s a tough thing to pull off a big surprise at the end of a book, but I think I made it happen. A: The original title of the book was All Together Now with Feeling, a line that anyone who reads the book will recognize. My editors nixed the idea—Note: Writers! Listen to your editors!—and we brainstormed for titles that would work for the book and also be appealing to readers. And since the book is about marriage, we pulled a lot of lines from wedding vows, i.e. : For Better Or Worse, Till Death Do Us Part…and my brilliant editor Christine Kopprasch suggested As Long As We Both Shall Live, I loved it, and the rest is history. A: I’m actually working on two books at the same time now. One is about a series of murders where the victims are being found through online dating apps. The other is about a mass killer using cell phone technology to communicate and taunt his victims and the police. They’re both a lot of fun and hopefully I’ll be wrapping them up soon. 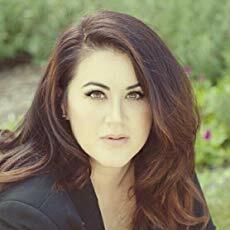 A: ALAWBSL was recently optioned by Made Up Stories, the production company who most recently worked on Gone Girl and Big Little Lies, so we’ll hopefully see it on screen in the future.